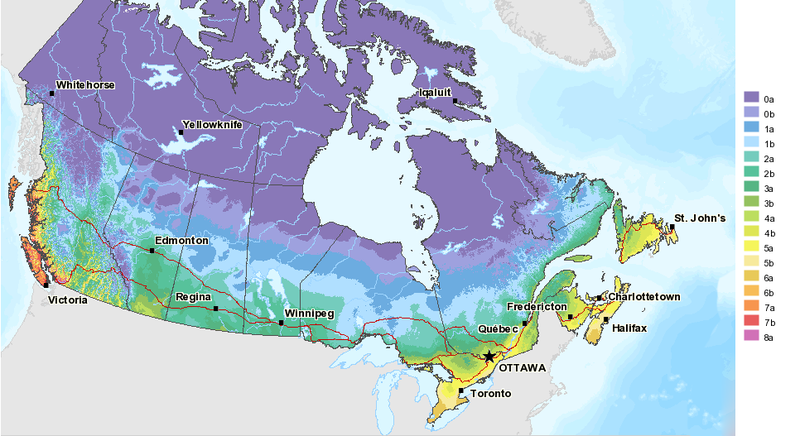 Plant Hardiness Zones – Paterno Nurseries Inc.
Canada is divided into climate zones which help gardeners and growers to determine whether or not a specific plant will thrive in their area. 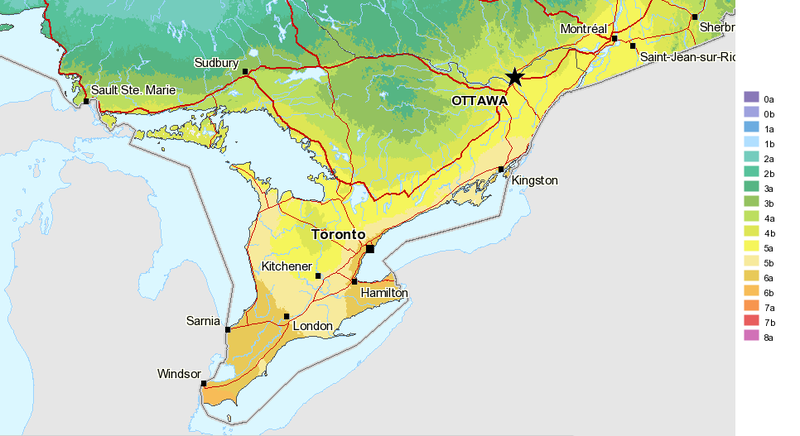 By following the picture link below, you will be able to figure out which zone you live in. Our Plant Search feature lists the hardiness zone for each plant we carry. Most cold hardy plants will survive in warmer zones but not the other way around. You can find more information about these maps HERE.